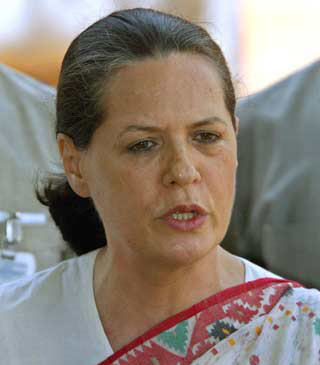 Sonia Gandhi (born Antonia Edvige Albina Maino on 9 December 1946)is an Italian-born Indian politician and the President of the Indian National Congress, one of the major political parties of India. 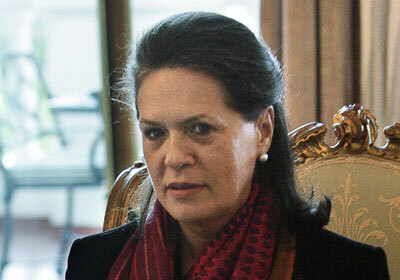 She is the widow of former Prime Minister of India, Rajiv Gandhi and belongs to Nehru–Gandhi family. 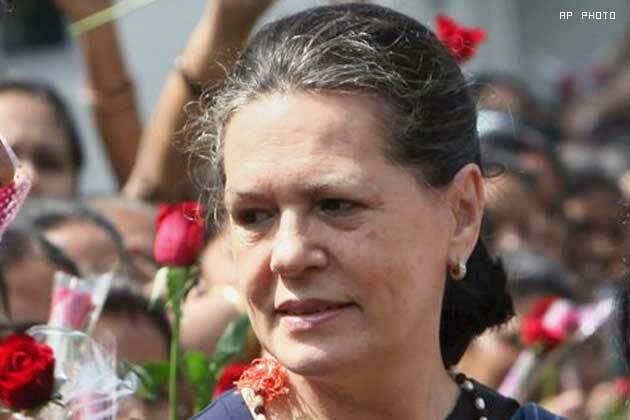 After his assassination in 1991, she was invited by the Indian National Congress to take over the Congress but refused and publicly stayed away from politics amidst constant prodding by the Congress. 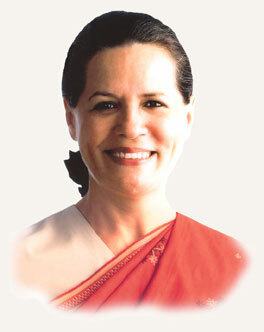 She finally agreed to join politics in 1997; in 1998, she was elected as the leader of the Congress. 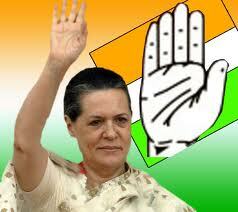 Since then, Sonia Gandhi has been the President of the Indian National Congress Party. 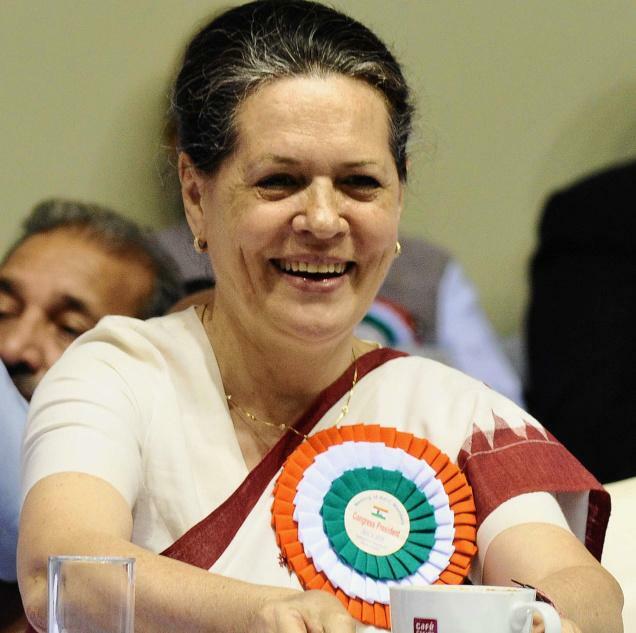 She has served as the Chairperson of the ruling United Progressive Alliance in the Lok Sabha since 2004. 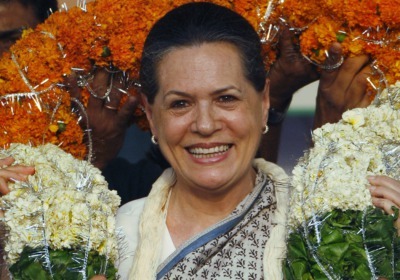 In September 2010, on being re-elected for the fourth time, she became the longest serving president in the 125-year history of the Congress party. Her foreign birth has been a subject of much debate and controversy. 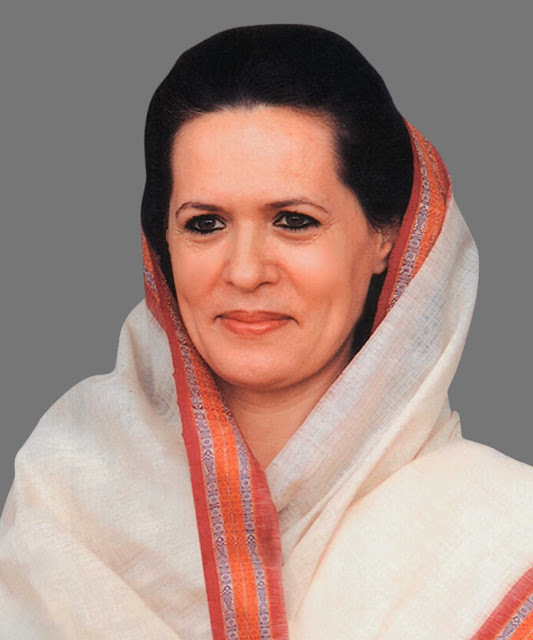 Although Sonia is actually the fifth foreign-born person to be leader of the Congress Party, she is the first since independence in 1947. She was born to Stefano and Paola Maino in Contrada Màini ("Maini quarter/district"), at Lusiana, a little village 30 km from Vicenza in Veneto, Italy, where families with the family name "Màino" have been living for many generations. She spent her adolescence in Orbassano, a town near Turin, being raised in a traditional Roman Catholic family and attending a Catholic school. Her father, a building mason, died in 1983. Her mother and two sisters still live around Orbassano. In 1964, she went to study English at the Bell Educational Trust's language school in the city of Cambridge. She met Rajiv Gandhi, who was enrolled in Trinity College at the University of Cambridge in 1965 at a Greek restaurant (the Varsity Restaurant) while working there as a waitress to make ends meet. 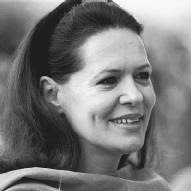 Sonia and Rajiv Gandhi married in 1968, following which she moved into the house of her mother-in-law and then Prime Minister, Indira Gandhi. The couple had two children, Rahul Gandhi (born 1970) and Priyanka Vadra (born 1972). 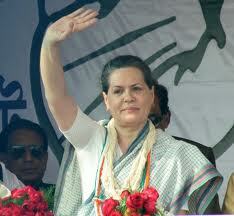 Despite belonging to the influential Nehru family, Sonia and Rajiv avoided all involvement in politics. 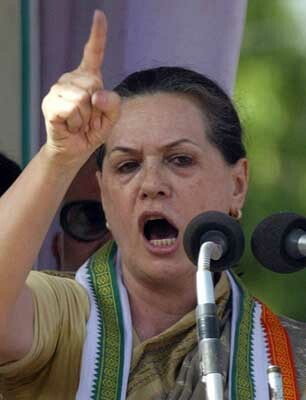 Rajiv worked as an airline pilot while Sonia took care of her family. When Indira was ousted from office in 1977 in the aftermath of theIndian Emergency, the Rajiv family moved abroad for a short time. 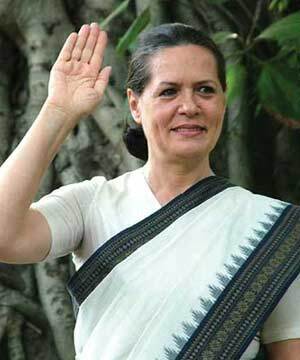 When Rajiv entered politics in 1982 after the death of his younger brother Sanjay Gandhi in a plane crash on 23 June 1980, Sonia continued to focus on her family and avoided all contact with the public. 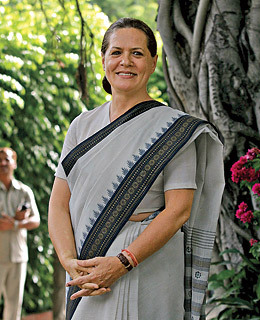 Sonia Gandhi's involvement with Indian public life began after the assassination of her mother-in-law and her husband's election as Prime Minister. As the Prime Minister's wife she acted as his official hostess and also accompanied him on a number of state visits. In 1984, she actively campaigned against her husband's sister-in-law Maneka Gandhi who was running against Rajiv in Amethi. At the end of Rajiv Gandhi's five years in office, the Bofors Scandal broke out. 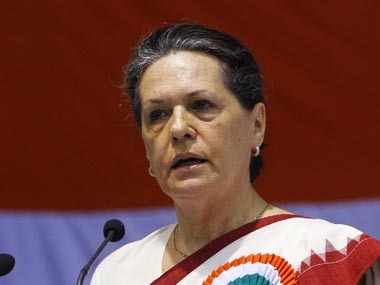 Ottavio Quattrocchi, an Italian business man believed to be involved, was said to be a friend of Sonia Gandhi, having access to the Prime Minister's official residence. 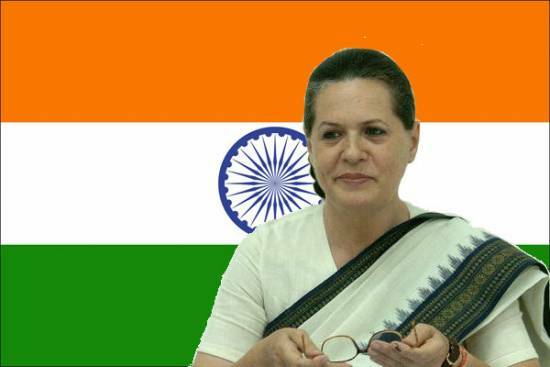 In 1980, her name appeared in the voter's list for New Delhi prior to her becoming an Indian Citizen, when she was still holding Italian Citizenship. It was a violation of Indian Laws. When she did acquire Indian Citizenship in April 1983, the issue cropped up again, as her name appeared on the 1983 voter's list when the deadline for registering had been in January 1983.